Newbury Racecourse is the stage this Saturday for the prestigious Group 2 Hungerford Stakes, a race which has been won by the likes of Coolmore stallion Excelebration and Red Evie. For the first time the race will be sponsored by Alex Frost’s Ladyswood Stud, a 90-acre establishment situated on the Gloucestershire Wiltshire border, near Malmesbury. Alex and Ladyswood Stud have kindly donated the 12-furlong Maiden race (4.10), as a way to promote and support the work of Racing to School. The education charity is enjoying its busiest year, working nationwide at 350 events with over 200 schools. 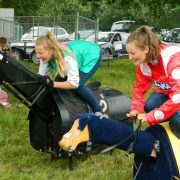 A record 14,000 young people will benefit from an outdoor learning activity at a UK racecourse, trainer’s yard or stud. A team from the charity will be at Newbury on Saturday, fully equipped with a riding simulator – to offer instruction and a unique experience to any budding Frankie Dettoris! 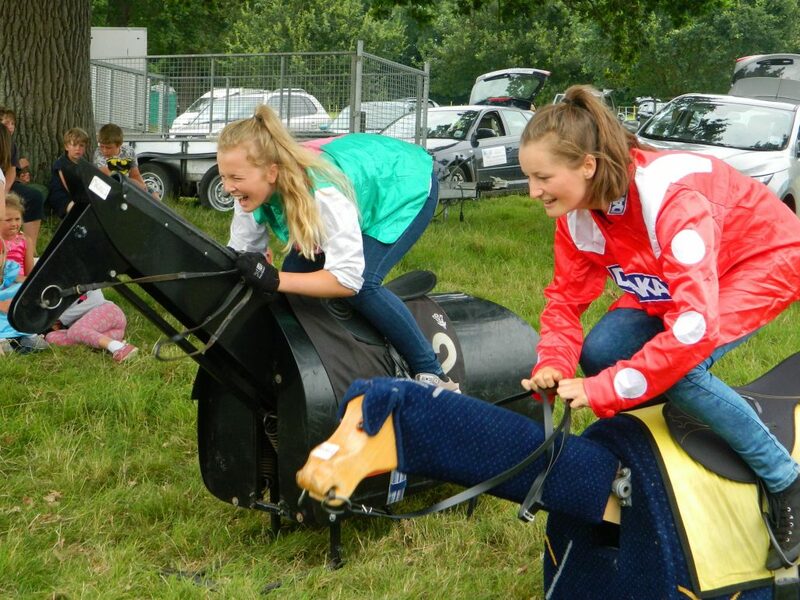 Members of local Pony Clubs and Pony Racers will be joining the charity on the day, and will get the opportunity to judge the best-turned out horse in the sponsored race. They will also be treated to a visit to the Royal box and be part of the presentation team to the winning owner, trainer and jockey. The Racing to School team will be positioned to the right-hand side of the Parade Ring and all are welcome to try out their skills in the saddle. John Blake, Chief Executive of Racing to School said: “The charity is very grateful to have been offered a title sponsorship by Alex Frost and his Ladyswood Stud on the prestigious Hungerford Stakes card. Racing to School will also be launching a new, concise Information Booklet produced in partnership with the BHA’s Careers in Racing team. The idea is to add value to those young people who already have an active interest in horses. The Booklet provides a guide to some of the race-day careers the sport offers, and most crucially some simple signposts for how to find out more about racing and how to pursue their interest. All participants in the charity’s expanding Riders’ Programme will receive the Information Booklet. The Programme days are kindly supported by The Racing Foundation and 60 events will be delivered this year, with funding now secured to grow participation over the next three years.